South Carolina DSS Doesn't Always Get it Right! South Carolina DSS Doesn’t Always Get it Right! 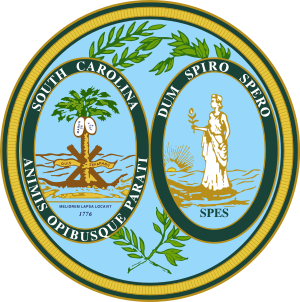 The South Carolina Department of Social Services (“DSS”) isn’t always right. There are at least 97 separate South Carolina code sections directly related to child protection and permanency. This does not include code sections and regulations governing ancillary matters, such as health related issues. Consequently, DSS does not always get it right. Rest assured your case is not necessarily hopeless. Case in point: South Carolina Department of Social Services v. Randy S., et al, 390 S.C. 100, 700 S.E.2d 250 (S.C. App. 2010)( http://caselaw.findlaw.com/sc-court-of-appeals/1537698.html). This is a case in which the parents and DSS agreed to let the children live with a paternal aunt pursuant to a safety plan rather than be taken into foster care. Subsequently, when the father failed to comply with a treatment plan, DSS filed an intervention action to secure a court order to enforce compliance. The South Carolina Court of Appeals held that this was properly a removal and not an intervention action. The point is simply this: If the child stays in the caregiver’s home, it is an intervention action. If the child leaves the home, even if by agreement, it is a removal action. Does DSS Always Remove a Child When It Suspects Abuse? What Options Does DSS Have?